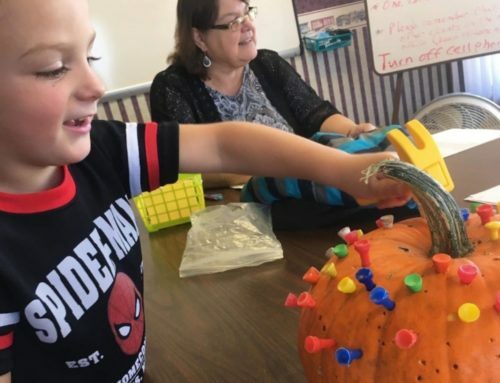 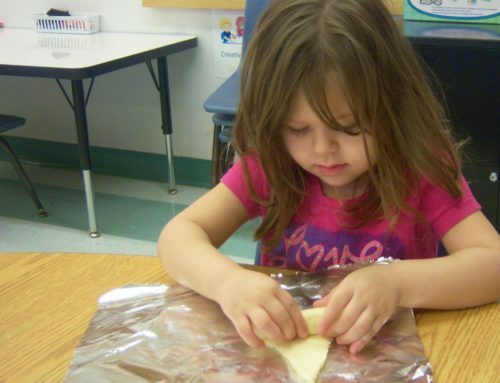 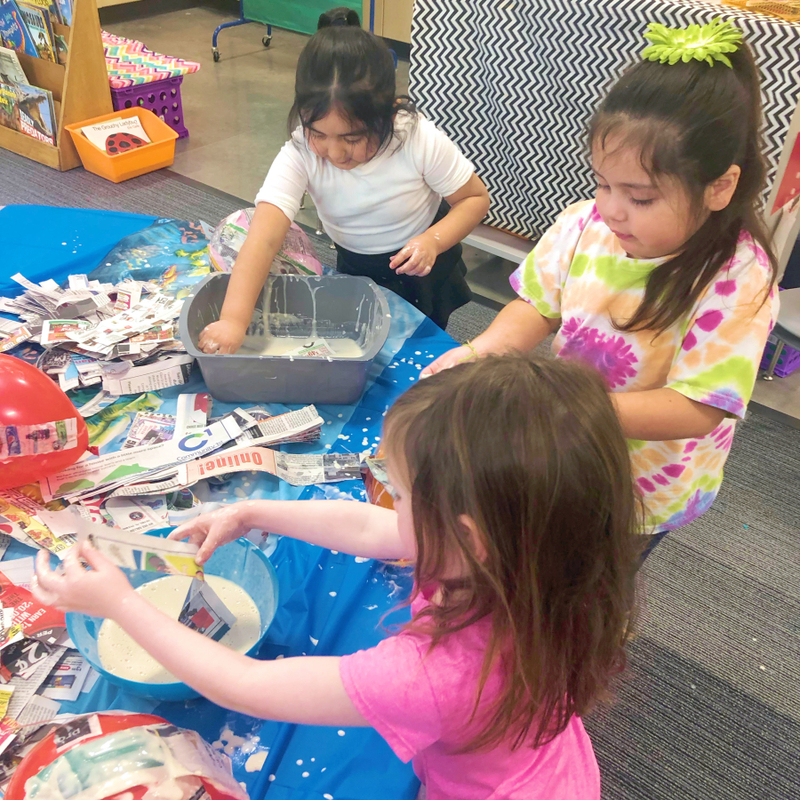 Our Sieda Head Start Centers and our school partnership preschool classes have shared some very creative activities and events. They’ve had several busy months full of family, learning, and loads of creativity. 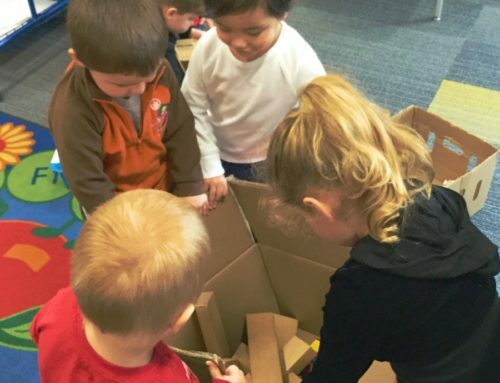 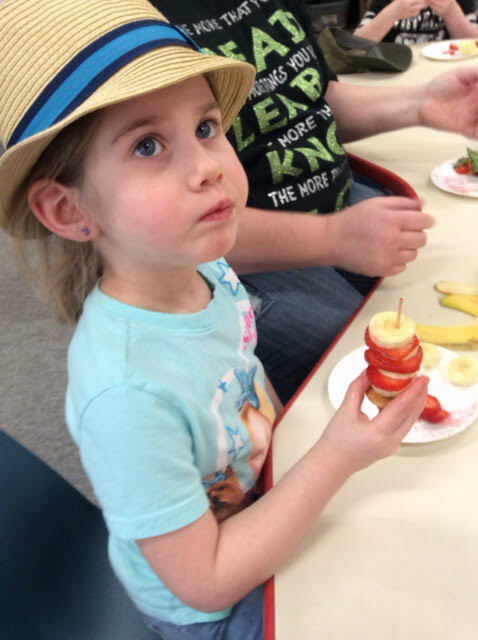 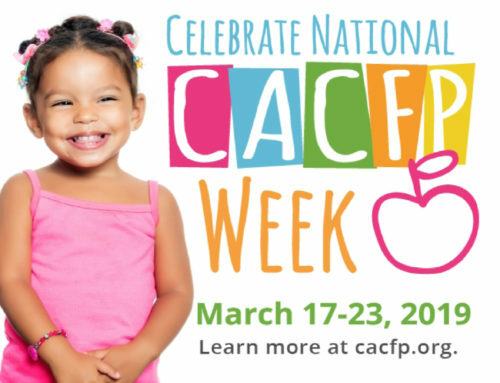 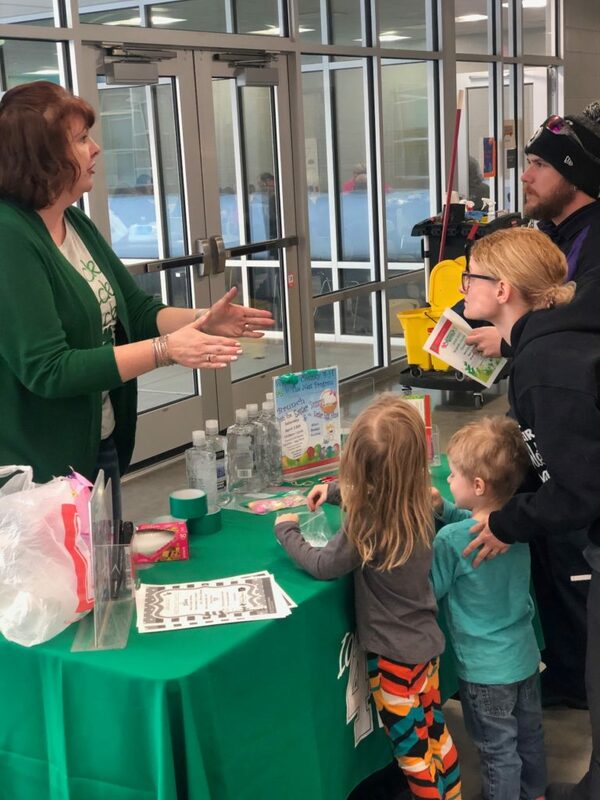 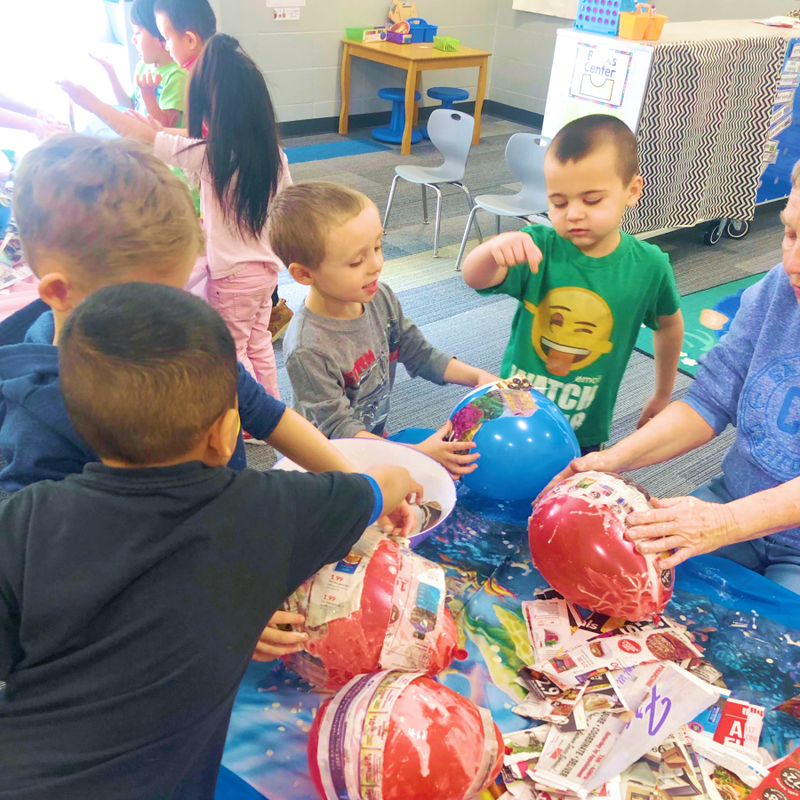 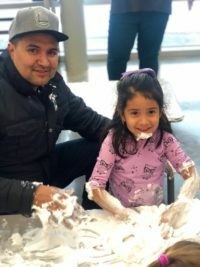 For example, across several centers, we’ve seen spring temperatures, crazy socks, dino eggs, cup towers, hat-shaped snacks, fancy doors, wockets, and loads of family fun. 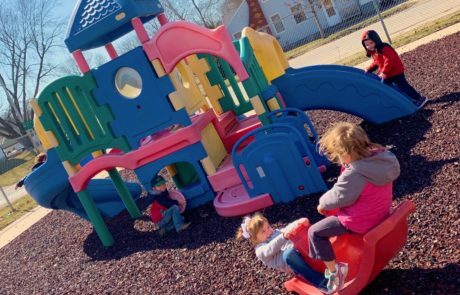 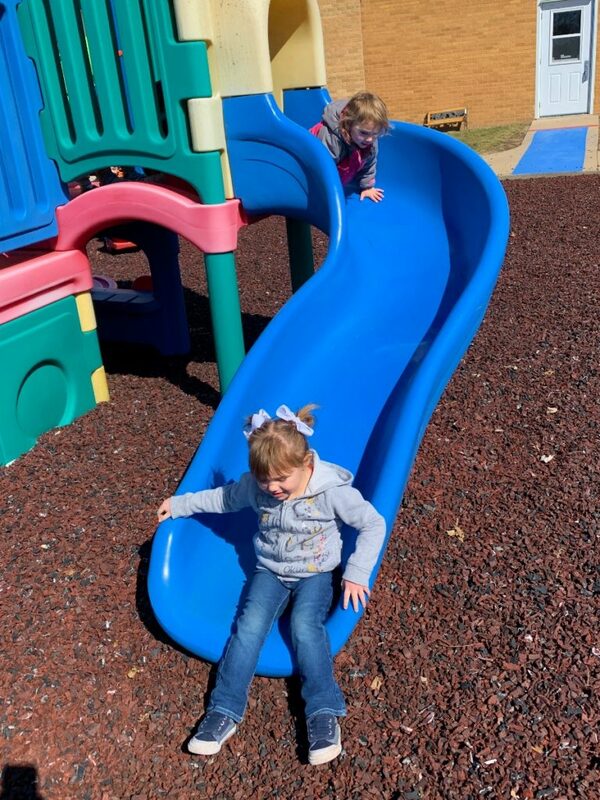 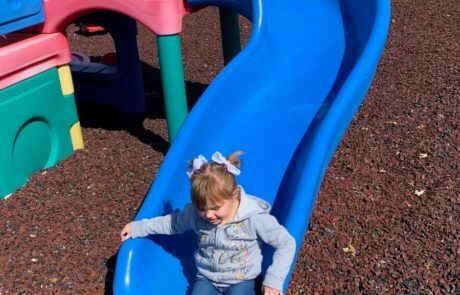 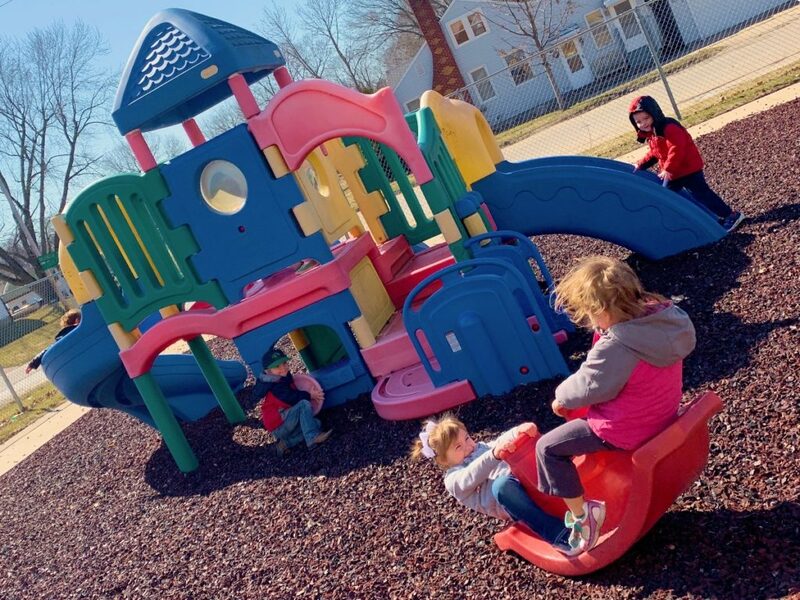 Two of our Sieda Head Start Centers were able to enjoy a day that wasn’t snowing or raining. 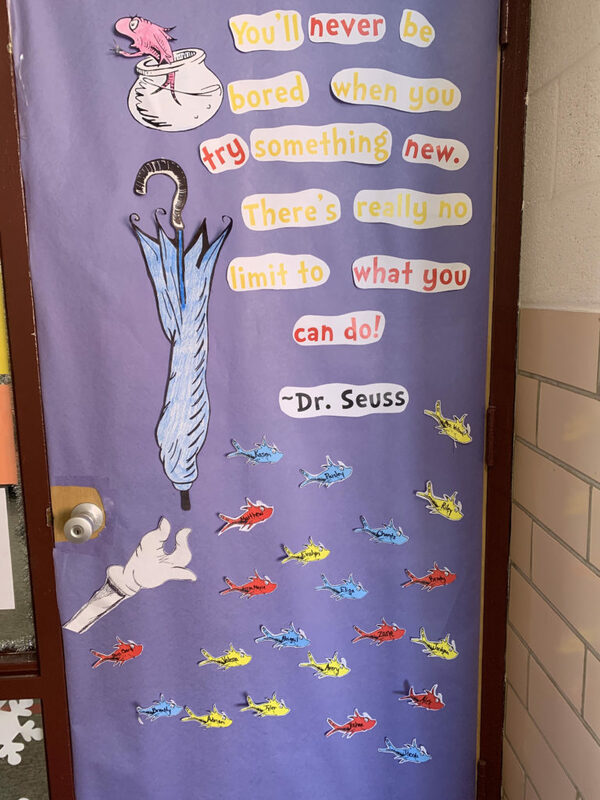 How strange! 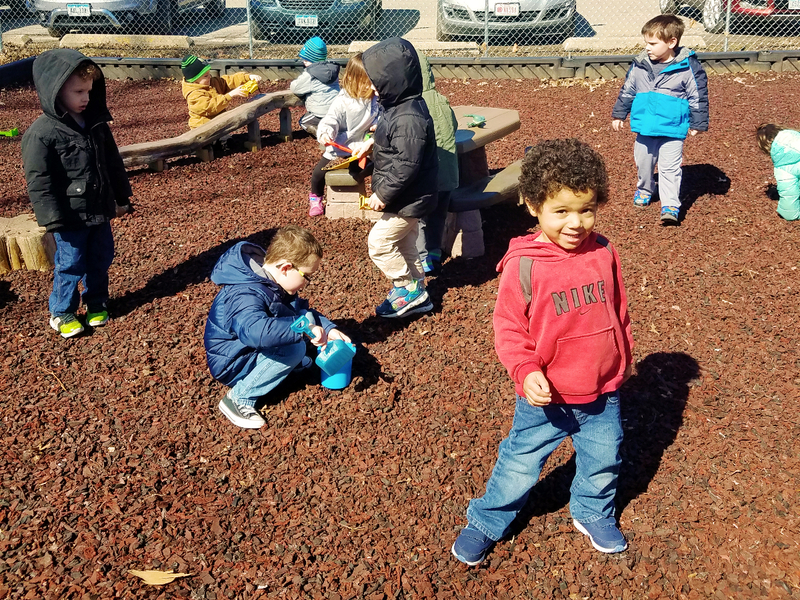 These preschoolers are showing us how to enjoy a great day outside. 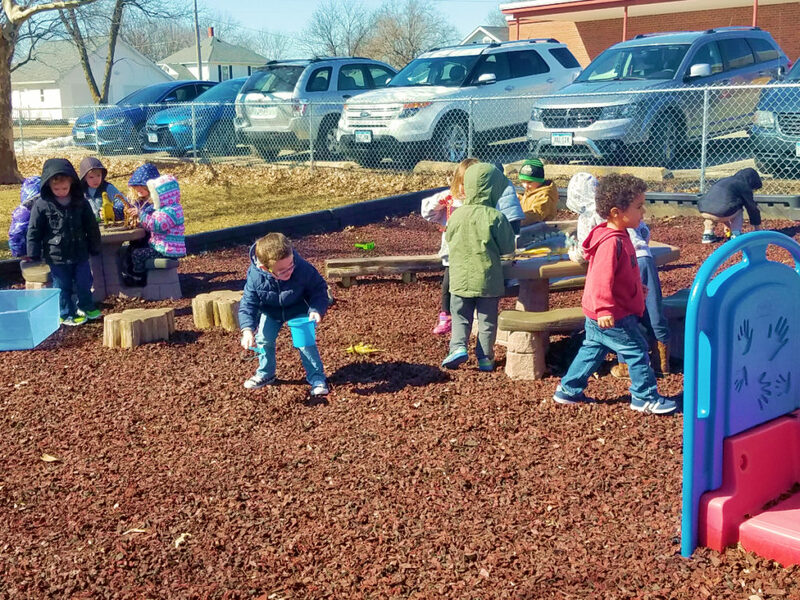 I spy children feeding dinosaurs and giraffes wood chips. 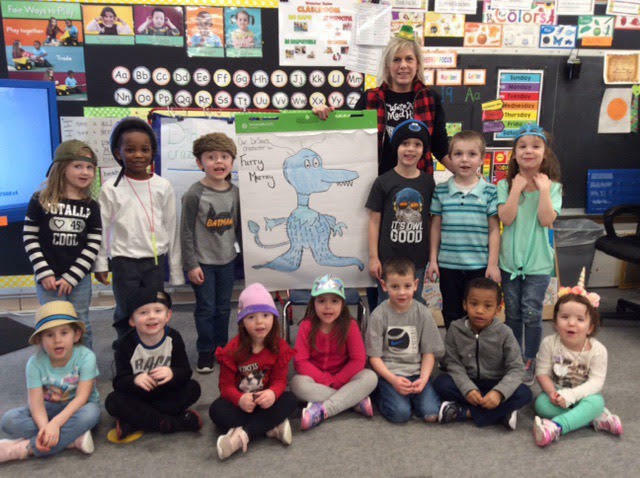 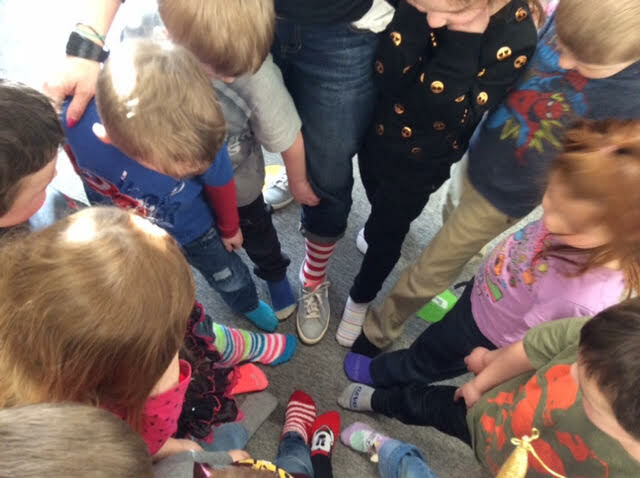 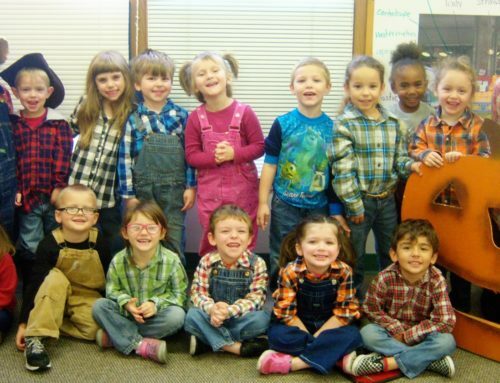 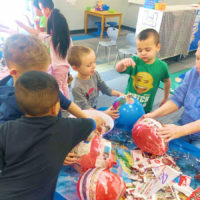 Dr. Seuss Creativity visited the Head Start classes in Oskaloosa. 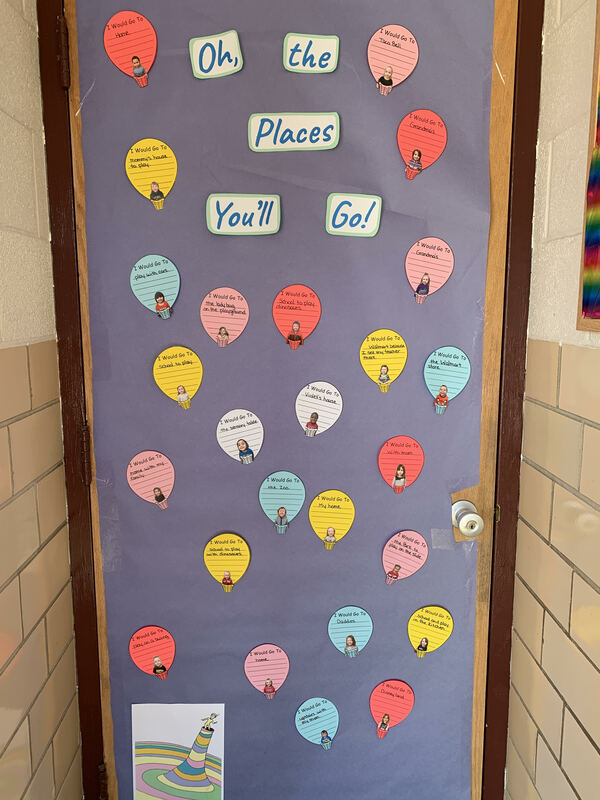 A variety of door decorations such as “Oh, the Places You’ll Go.” The preschooler’s had places they wanted to go on their balloons. 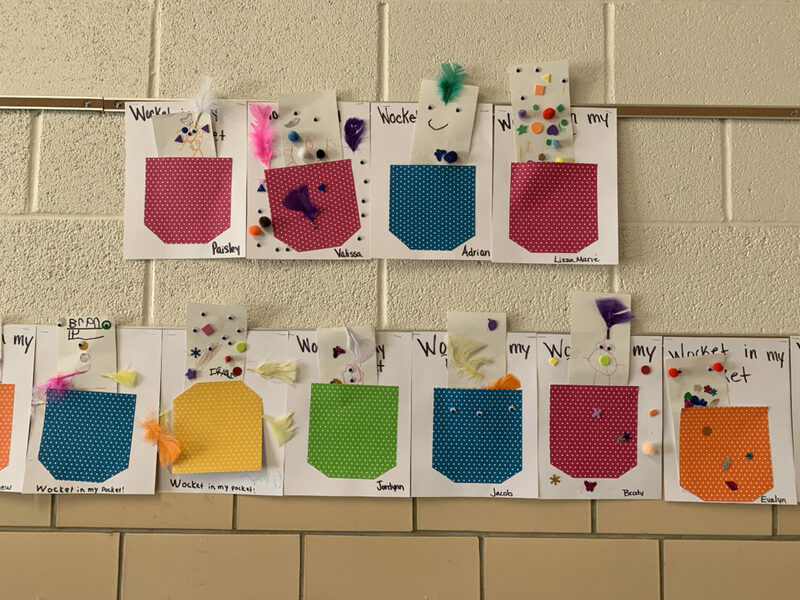 For example, the school to play, grandma’s, Taco Bell, home, the zoo, and “Wal-Mart because I see my teacher there.” The students were able to wear crazy hats and socks, made cat in the hat hats with strawberries and bananas, and created wild “Wocket in My Pocket” art. 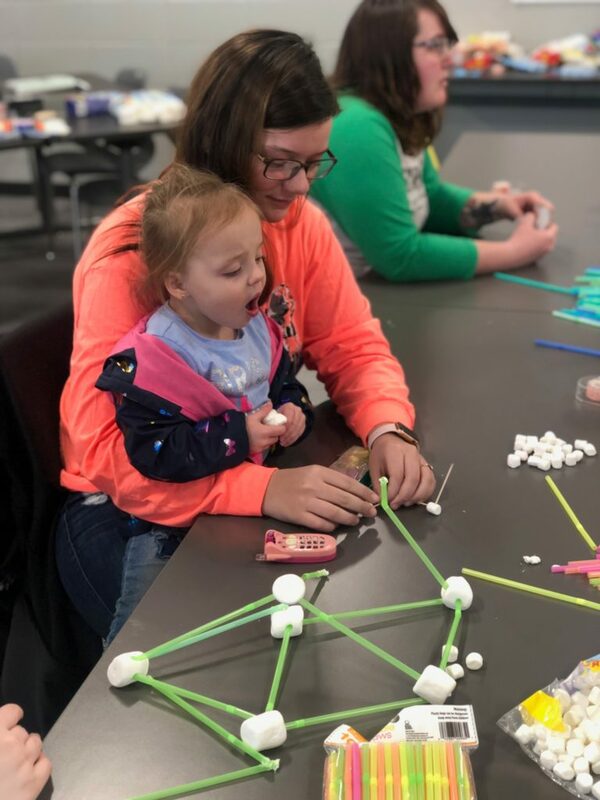 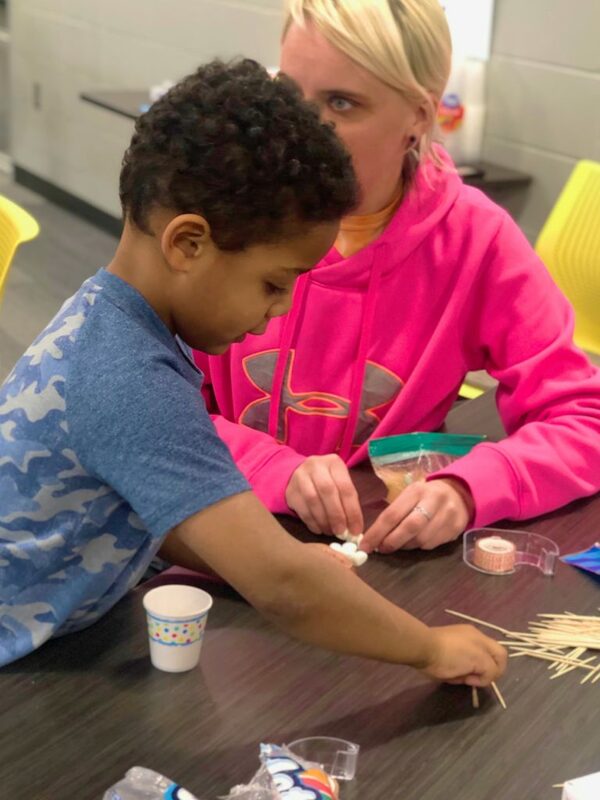 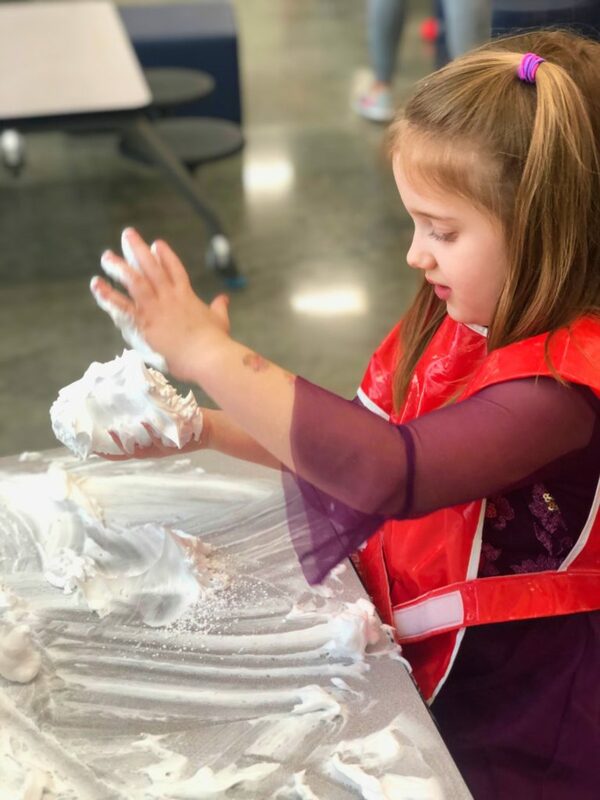 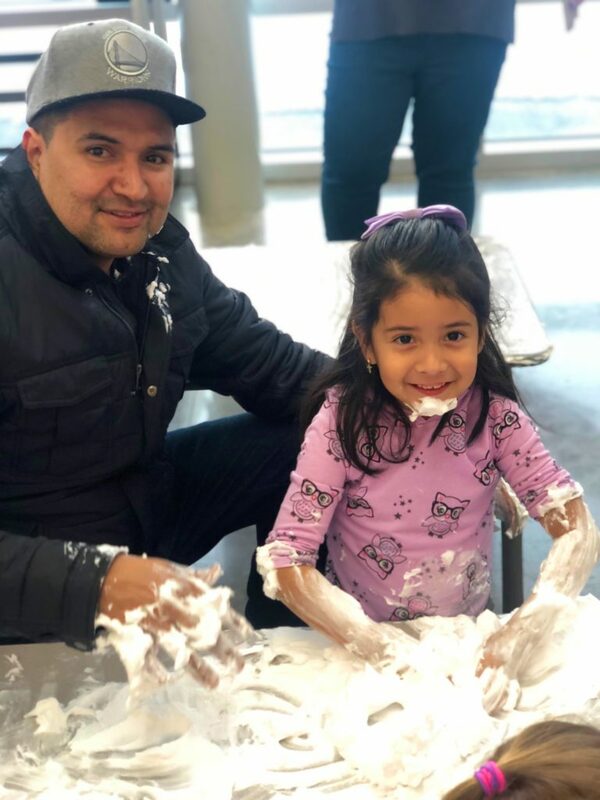 Science, Technology, Engineering and Mathematics (STEM) Family night at Pickwick was a great night for the children to come out with their families. 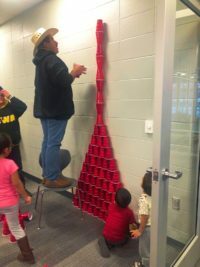 The activities set up in the building ranged from using cups, straws, foam, toothpicks, and some great creativity. 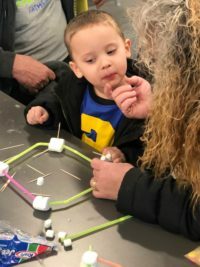 Science with marshmallows very creative and yummy. 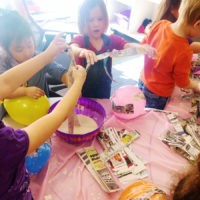 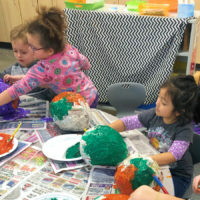 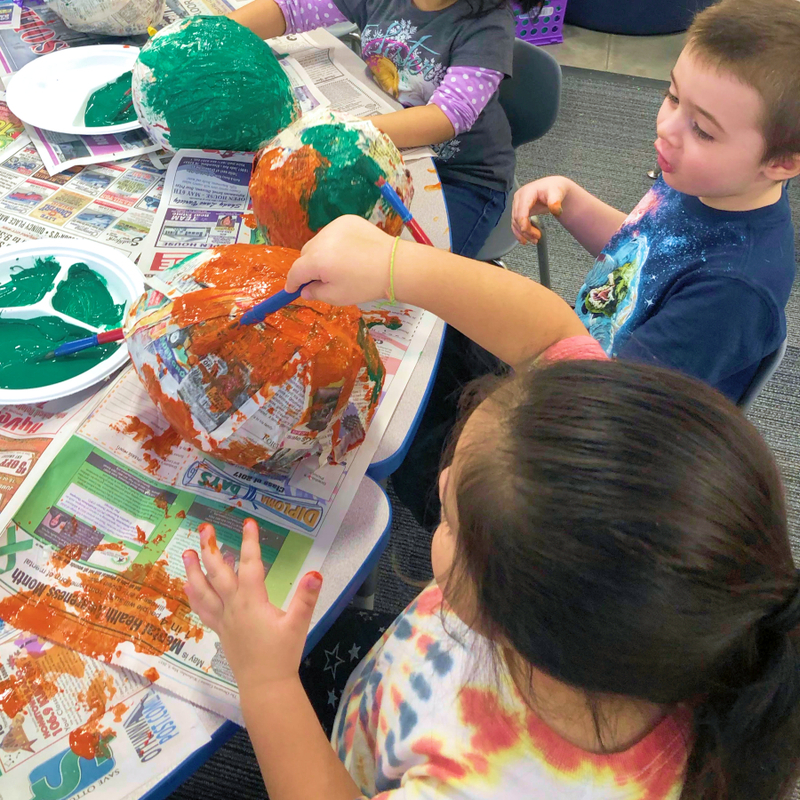 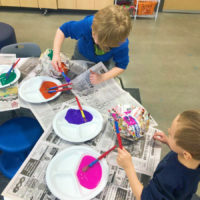 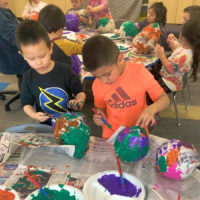 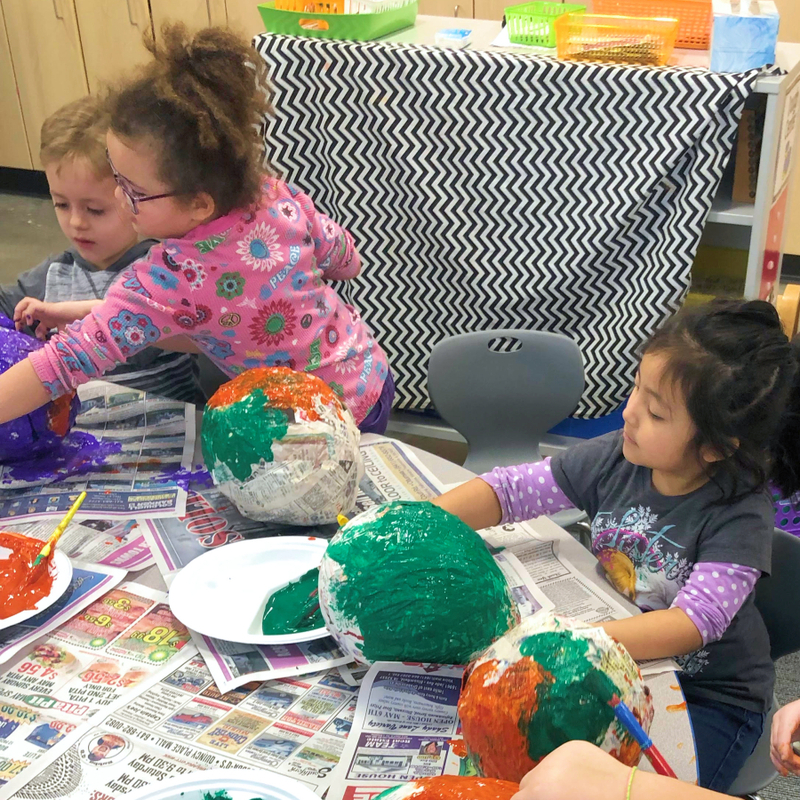 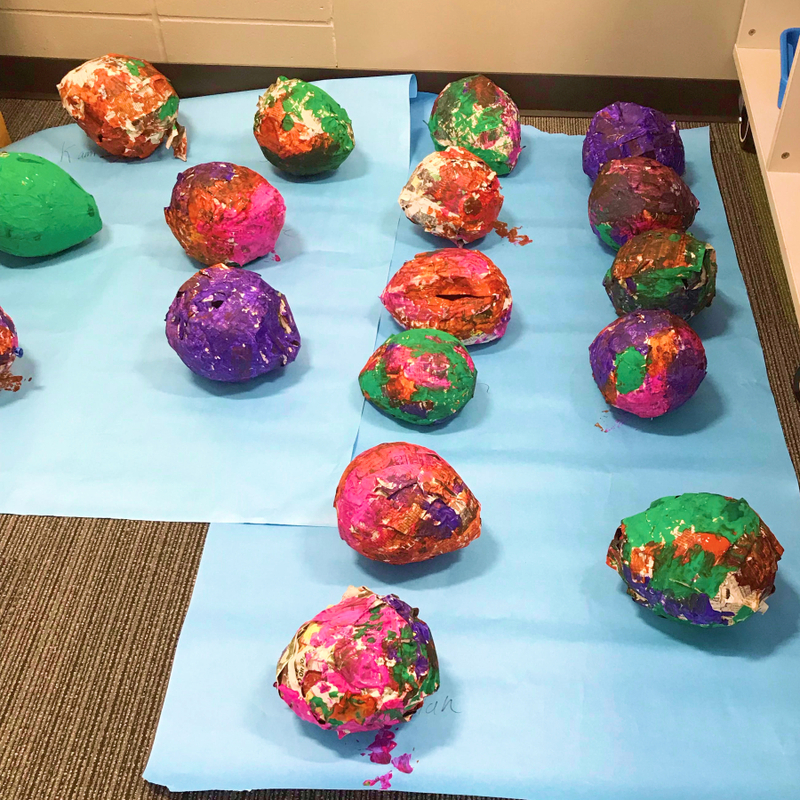 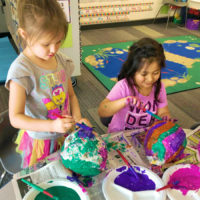 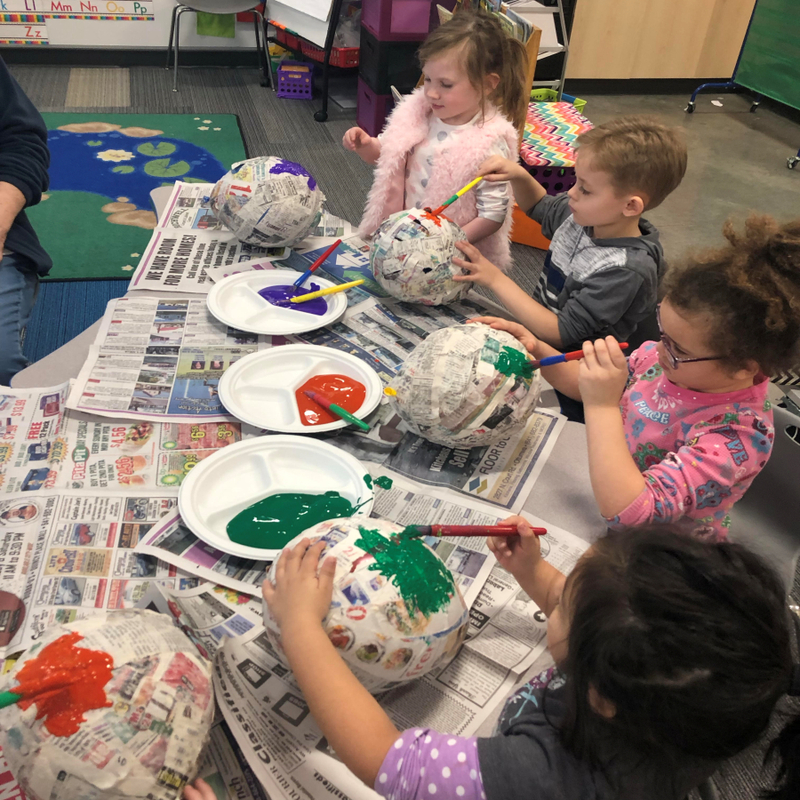 The students were learning about dinosaurs and had the chance to create their own unique dino eggs from paper maché and paint.